Paul A. Ferrer Attorney - Paul A. Ferrer Biography | National Legal Research Group, Inc. B.A., The Johns Hopkins University, 1986. J.D., University of Virginia Law School, 1989. Member, Connecticut Bar. Before joining NLRG in 1992, Paul was an associate, practicing in general corporate, securities, and institutional finance law with a Hartford, Connecticut, firm. His specialties are Agency, Antitrust, Banking, Commodities, Securities, Contracts, RICO, and Corporations. He has extensive experience in the following areas: removal to and remand from federal court; alternative dispute resolution; sales cases arising under the U.C.C. or the Convention on Contracts for the International Sale of Goods, federal False Claims Act cases, and government contracts. 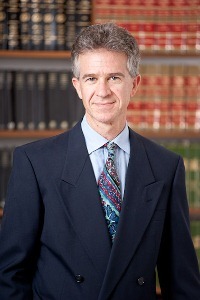 One of the more significant cases Paul worked on recently occurred over a two-year period and involved many separate projects, including fraud/misrepresentation; breach of fiduciary duty; oppression of minority shareholders; and denial of access to corporate records, resulting in two separate, and ultimately successful, appeals to the Alabama Supreme Court. Paul has also been writing the annual supplement for the Federal Trade Commission treatise for 15 years and is a frequent contributor to NLRG’s Business Law Update. Paul is an avid soccer fan, coaches two of his children’s soccer teams, and enjoys running several times a week. See a sample of Paul's work.